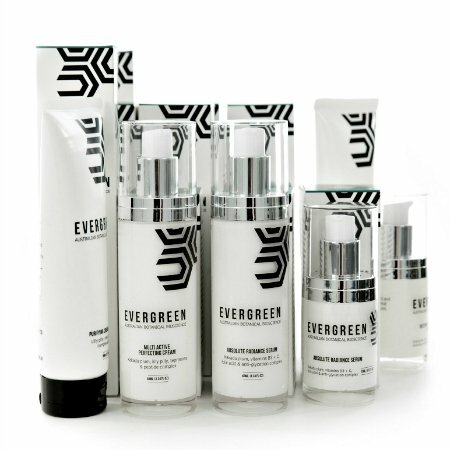 Created by Victorian cosmeceutical chemist Alexandra Green, the Evergreen skin care range harnesses botanical bioscience to purify, protect and perfect skin exposed to the Australian climate. Passionate about the science behind clinical skin care, Alex created Evergreen when she couldn’t find a brand that met her expectations for clinical effectiveness. Evergreen takes its cue from Australian native plants that have adapted to thrive in their extreme environment, providing exceptionally rich sources of antioxidants and nutrients. Each Evergreen product features a generous blend of pure botanical extracts, vitamins and active ingredients clinically proven to work against the signs of premature ageing. NO sulphates, petrochemicals, parabens, propylene glycol or animal testing.